We are a fundraising community that unites Four Diamonds supporters around the world in the quest to conquer childhood cancer. 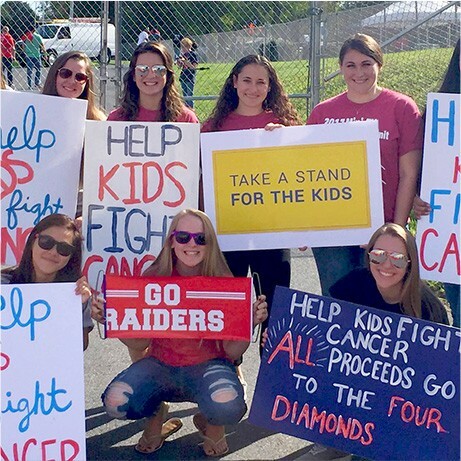 By joining Team FTK® - For The Kids™, you are joining Four Diamonds in our mission to help every child survive and thrive. As a Partner In The Fight™, you are giving hope to children and families everywhere. 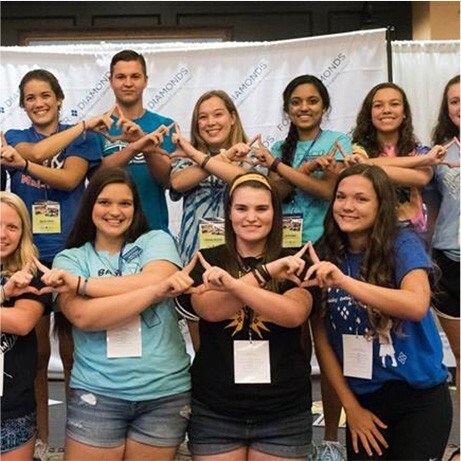 There are no limits to the unique and special ways you can become involved and help support Four Diamonds through Team FTK®. Turn your interests and passions into a successful Team FTK® fundraiser by clicking on an option below. 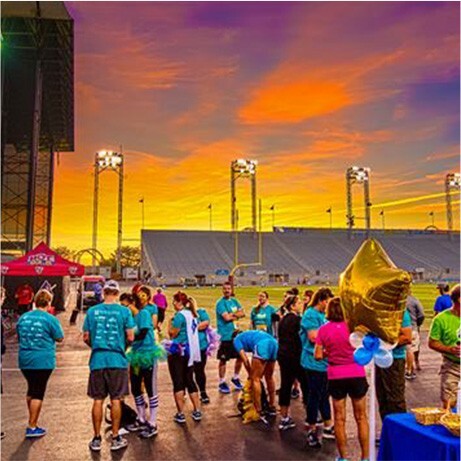 Join colleges and universities around the world in the quest to conquer childhood cancer by sharing your time and talents to raise funds For The Kids™. Get active For The Kids™ by participating in your favorite sporting event and asking friends and family to show their support for your hard work. 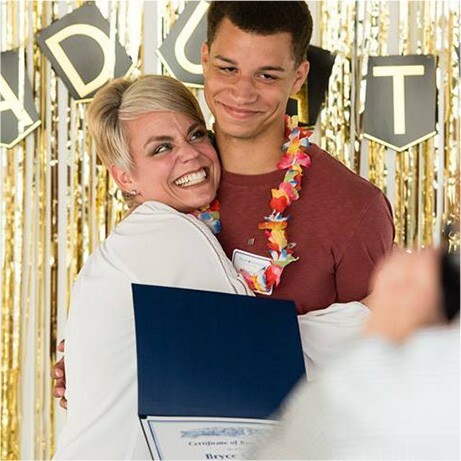 Whether it's your birthday, graduation, or wedding, help children with cancer reach the next big milestone in their lives by dedicating one of yours. Build your loved one's legacy by sharing your story and encouraging friends and family to give to Four Diamonds in their honor or memory. 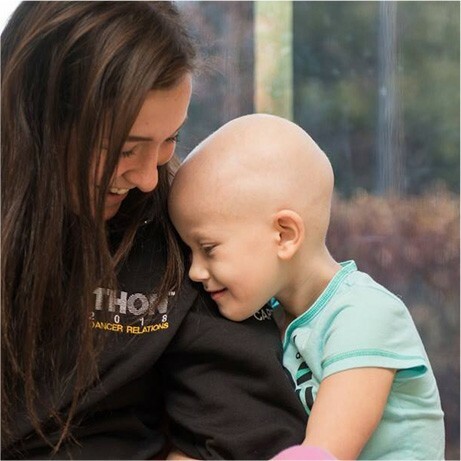 Share your passion to end childhood cancer by creating your own fundraising event campaign. The options are endless when you Fundraise Your Way FTK®!